The Lincoln Square House Concert Series is a chance to experience great art and music in an intimate setting – it’s an invitation into one of our homes to hear one of our favorite artists. It’s a great way to meet and welcome our neighbors while supporting excellent local and touring artists. Our concerts begin at 7p and doors open at 6:45p. The suggested donation is $15 (children are free) and all proceeds go to the artist. Light snacks, beer and wine are provided. To RSVP to a house concert (and get the address for your show), or if you are an artist who would like to be considered as a performer in our series, email Jodee Lewis at jlewis@lincolnsquarepres.org. Jackson Emmer’s lyrically playful and intimate Americana style is as gleeful as it is irreverent. 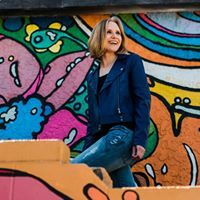 Combining an authentic country spirit with an honest and modern perspective, Emmer connects with listeners in the time-honored storytelling tradition. Cliff Ritchey gathers his songwriting inspiration from the simple country life he surrounds himself with in Markleville, Indiana. His desire is to connect with people on a deeper, more vulnerable level through his music. In 2004 he released his first solo album This Is Front, followed by All Kidding Aside (2006), Seasons (2013) and most recently, The Second Half (2017) featuring the song "Honey Baby” which won 1st place in the Chris Austin Songwriting Competition and 3rd place in the International Songwriting Competition. Stylistically Cliff's songwriting ranges from acoustic heartfelt Americana/Folk tunes to songs with complex progressions and melodies that fit tightly inside a simple acoustic production. Cliff has also served as a touring guitarist for Jon McLaughlin, Josh Kaufman (winner of The Voice Season 6) and Latin recording artist Jaci Velasquez in addition to raising a family and maintaining a busy schedule as a commercial photographer. Caitelen is a Santa Fe based singer/songwriter, multi-instrument musician, recording artist, worship leader, vocal coach, and poet. Her music is vocally forward, lyrically emphatic, indie folk/rock with a gospel narrative twist. She strives for authenticity in her songwriting that reflects the ebb and flow of doubt and faith, and all the beauty, longing, and awe in between. Note: Margot will perform as a trio on October 26.